As we traveled to New York City for our summer internship at RF|Binder, our emotions ran wild at the unknown summer adventure lying ahead. On the first day, we were introduced to all the employees, given a booklet of everyone’s names and positions, and met our managers and account teams. We were divided up to work on different accounts and teams: Education, Financial Services, Food & Beverage, Wellness & Lifestyle, and The Grove. We were all excited, but nervous about beginning our work with our teams, but little did we know we were about to have the experience of a lifetime. The internship program here at RF|Binder is highly unique. The program consists of both account work and a final project to showcase our work after spending two months learning about the industry. After the first couple of days doing orientation and training, we spent our time working with clients, creating press releases, media monitoring, research, analytics reports, and so much more. During the two months on the account teams we learned the ins and outs of account work, while also learning the skills we would need to complete our final project. Our intern project was given to us at the beginning of the summer, where we were provided with a client we would treat as our own to pitch. We were able to use the knowledge we gained from our day to day account work to create a complete campaign for the client. In addition to our daily responsibilities, we also participated in training sessions in areas such as planning, brainstorming, deck development, sponsorship and promotions, media relations, experiential development, influencer marketing, and overall life at the agency. The summer internship at RF|Binder goes beyond the typical “intern” work. It was clear the agency truly cared about the work we were doing and even utilized some of our own projects in their day to day account work. 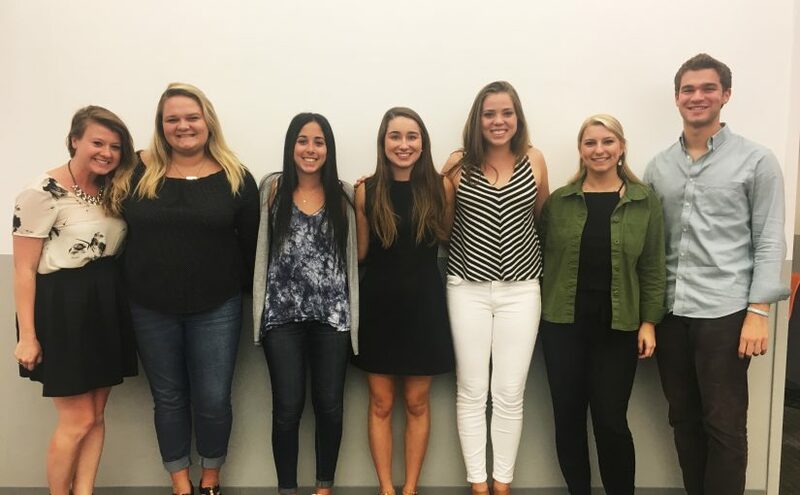 We learned about client communication and all the components of working on an account to ultimately be able to create a strong campaign for our internship client, which we completed and presented to the agency during our last week. We ended the summer with a deeper understanding of public relations, integrated communications, and the full scope of services at RF|Binder. I have really enjoyed participating in brainstorm sessions with all levels of employees to get a better understanding of how they think. I also enjoyed the casual yet creative environment of The Grove. I really like the flat level structure of the firm. I constantly feel involved and welcomed. You never feel as though you cannot talk to someone who is higher up no matter their title. I love the relationships I’ve built here during the internship and hope to stay in touch with all the other interns. I will miss having lunch together every day when it’s over! My favorite part of the internship is having the opportunity to do product drops and media events for Dunkin’ Donuts. The events are always fun and I like being able to work directly with the media. My favorite part of the internship was getting to meet the amazing people I was surrounding myself with. I was able to work with a fantastic intern team and a talented creative department.